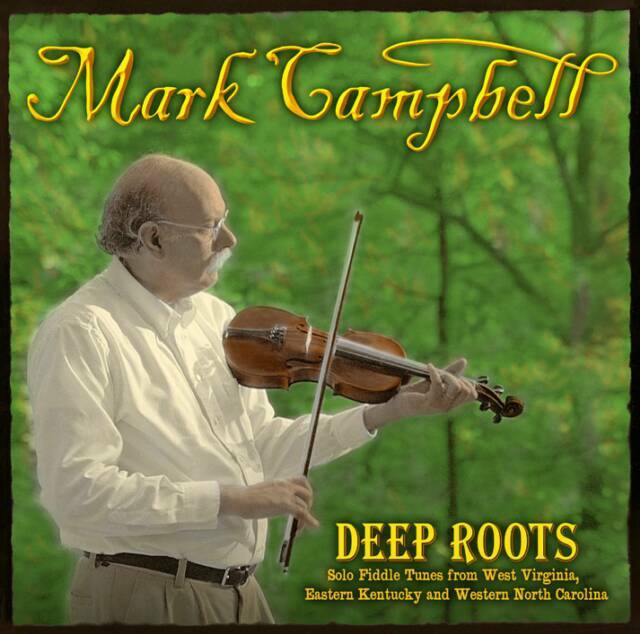 In 2008 Mark was named the Virginia Foundation for the Humanities' Master fiddler. He was also the 2001 Champion Fiddler at the Appalachian String Band Festival at Clifftop, West Virginia, has twice won the State Fair of Virginia fiddle contest, and has won the West Virginia State Folkfestival banjo and fiddle competitions. Mark travels throughout the region, performs concerts/lectures, teaches classes, plays for dances and produces solo and band recordings. He learned his banjo styles by watching musicians Herbert Pitzer, Kyle Creed, Fred Cockerham, and Matokie Slaughter. "My goal is to help reveal and perpetuate the genius of Appalachian Mountain Culture." June 5, 6, and 7th Mt Airy Festival, Mt Airy North Carolina. April 12th and 14th: Upstate New York with John Kirk and Trish Miller. April 12 (Easter night) at Skidmore College. April 15th: jamming at the Grizzly Pear, NYC, 9:30 to 12:30. April 19th: Master Workshop 1:00 PM to 5:00PM and House Concert 7:30 PM at Susan Sterngold's Residence Suffern NY. April 23rd: House Concert in Williamsburg with Elizabeth LaPrelle as guest. Dinner at 6:00 PM Seats reserved at Johnny48@AOL.com or by calling 757-208-0419. June 11, 12, 13 Henry Reed Memorial Festival, Glen Lynn Virginia. 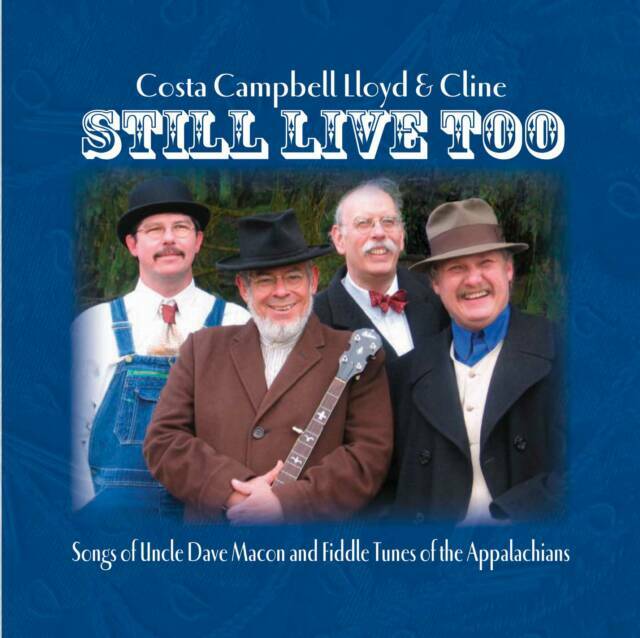 Tuesday July 7th Laprade Library, Chesterfield Co.
Thursday July 9th Enon Library, Chesterfield Co.
July 30, 31, Aug 1, 2, Appalachian String Band Festival, Clifftop, West Virginia. September 11th and 12th, Rockbridge Music Festival, Buena Vista, Virginia. September 19th, Campbell Family Band at the Victory Hall Theatre, Scottsville Virginia. New Band Performance: Virginia House Band plays an evening of old-time dance tunes and marital bliss songs at the White Hawk Cafe in Goochland, Va.
Sept 4th: Henry Reed Family Gathering. Sept 7th: Brandermill Woods Concert. Sept 10th: Concert at Stone Soup, Waynesboro, Va.
Hills N.C. 2:00 PM fiddle workshop. Dec. 10th: Virginia House Band at the Camel in Richmond 9:00 show. 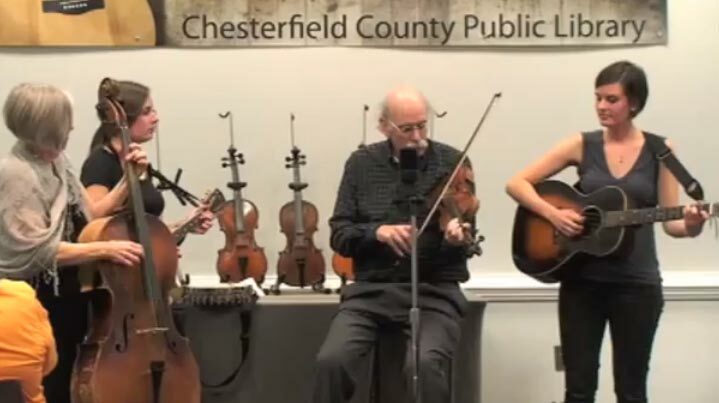 April 14th: Campbell Family Band at Chesterfield Main Library. 7:00 to 8:00 PM. Jan 29th: Fiddle workshop at Ground Hog Festival. Feb. 13th: Virginia House Band Greenwood Conta Dance. May 14th: Virginia Roots Ensemble at Luray Performing Arts. May 28th and 29th Campbell Family Band at Glen Allen Performing arts Festival "Virginia Traditions and Tunes." May 7th: Mark and Ron Gentry at the Bon Air Victorian Day Celebration. Approx. 1:20 PM. March 27th: Virginia House Band at Church Hill Irish Festival, noon. September 9th: Stone Soup Wayensboro, Va.
Sept 10th: Rockbridge Music Festival Lexington, Va.
Sept 17th: Private party, Richmond, Va.
Fall 2011 YET TO BE SCHEDULED: CD release party and dance at Ginter hall, for Harold Hausenfluck, Richmond, Va. 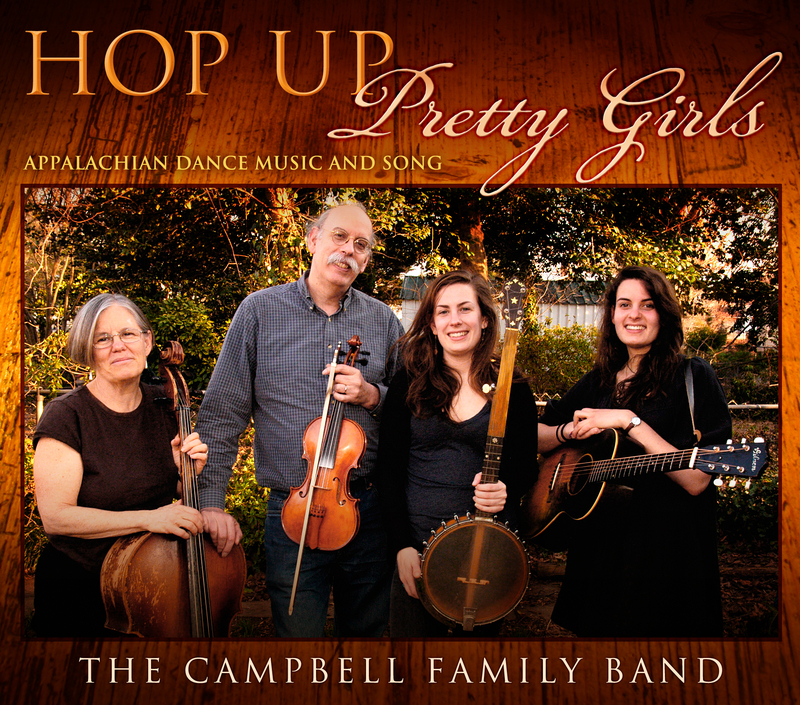 The new Campbell Family Band CD Hop Up Pretty Girls is now available by mail. September 7th: Stone Soup Wayensboro, Va.
Sept 6th and 7th : Rockbridge Music Festival Lexington, Va.
September 16th: Virginia Foundation for the Humanities Show Case, Boar's Head Inn, Charlottesville, Va.
October 19th: Campbell Family Band on the Eastern Shore. Nandua High School, Onley, Virginia 8:00 PM. August 24th Campbell Family Band dance at the Hardywood Brewery Richmond, Va.
Fiddle Workshop in Galax, Va. November 16th and 17th Chestnut Creek School of the Arts. 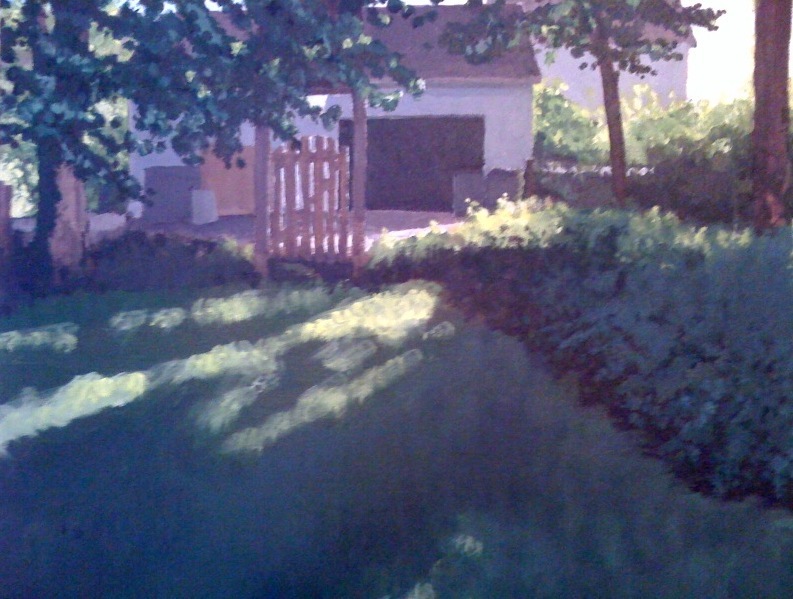 Link to Chestnut Creek School of the Arts. January 8th, 8:00 PM: Campbell Family Band at Virginia Wesleyan College, Norfolk, Va. in association with Mark Campbell Landscape Art Exhibit "From the Mountains to the Sea." Reception at 9:00 PM. Feb 15th 4:00 PM: Campbell Family Band at the Mildred McDaniel Concert Series, Reformation Lutheran Church 13100 Warwick Boulevard, Newport News, Va.
June 15th 4:00 PM: Campbell Family Band at Dogwood Dell Richmond. Come picnic! February 28th Mark with Mac Traynhan and John Shwab at Gene Bowlen's Bearcade Productions concert series. Workshops fiddle banjo and guitar prior. Feb 16th 4:00 PM: Campbell Family Band at the Mildred McDaniel Concert Series, Reformation Lutheran Church 13100 Warwick Boulevard, Newport News, Va.
Oct 2nd 6:00 to 8 PM: Campbell Family Band at the Virginia Museum of Fine Arts happy hour. Square Dance with Grant Hunnicutt calling. Nov. 19th 8:30 to 11:00 PM: Campbell Family Band at Buddy's restaurant, 600 North Sheppard St. Richmond, Va.
Dec. 4th. Sunny Mountain Serenaders at the Brandywine (Pa) music series.